Hi again to all my faithful followers. 2) "a great deal of action." Can you ever think of reading a novel that is full of hearts and flowers? After about the second page your reader is going, "ho mum. What's the point?" No, a successful novel needs action, some excitement. A lot of literary novels shun action, but how many people read their stuff? Koontz goes on to explain you need a villain, or antagonist if you will, plus a hero or heroine, or protagonist. That, then, emphasizes the need for a plot which we discussed last week to help the protagonist solve his/her terrible trouble. Literary novels seldom have a plot, again making them boooorrrriiiiinnnnnggg. By pitching an antagonist against a protagonist you build tension and excitement with lots of action. I hope these writing tips help. Next week I'll give you more suggestions that I hope will make your fiction writing more exciting and, hopefully, salable. Until then, if you like this blog, or even more, my book, "Bridgetown High" do me a favor and write a 5-STAR review and post it on my Amazon page. It should only take 5 or 10 minutes. 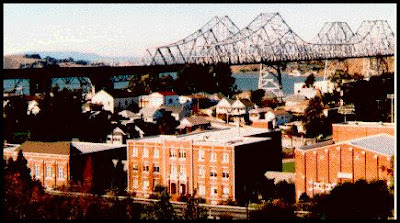 You can find my book at www.bridgetownhigh.com. Thanks for following me. See ya'll next week. Hello "EVERYONE." After reading my blog messages, do you still want to be an "AUTHOR?" I hope so. It's an exciting journey. Often frustrating, but even if you never get published, it's a rewarding experience. For those of you who are new to following me and who I am, I wrote the selling novel, Bridgetown High. Today, I thought I'd tell a little bit about the novel and maybe encourage you in your writing, that if I could write and get published by a traditional publisher, maybe you can too. 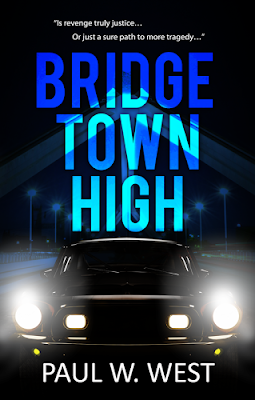 BRIDGETOWN HIGH is a suspenseful look at how conditions were in the mid-1960s. The Vietnam War, drugs, alcohol, teen romance, first loves, etc. A lot has changed sine then, but in the long run not much has really changed if you compare both eras. It's a story about Seventeen year old Mark Wilkerson who has no memory of the fiery crash that killed his family on the Carquinez Bridge in the San Francisco Bay Area. Now living with his grandmother and burdened with guilt that he may have helped to cause the accident, Mark vows to find the hit-and-run driver and take his revenge. But, the only detail he remembers is round taillights swerving in front of his family’s car. He is shocked when he notices that Jeff Marino's car, has identical taillights—and a suspicious dent in his rear fender. Jeff Marino is the school's bully. Now Mark wants revenge more than ever… On the other hand, Jeff believes Mark is an anti-Vietnam War activist like Mark's cousin Gary and despises him for it. To make matters worse, when Jeff’s girlfriend, Genie Lombardi, dumps him for Mark, it kicks Jeff’s hatred for him to a dangerous new level. Lies and threats escalate, until drugs and alcohol, and a shocking death, send Jeff over the edge and his campaign to get Genie back, any way he can, turns violent. When Mark’s memory starts to return, it leads to a terrifying confrontation between Mark and Jeff. Will Mark finally prove the identity of the guilty driver? Or will he and Genie become one more tragedy associated with the Carquinez Bridge? This book took me quite a long time to write, edit, re-edit, re-re-edit, and once more, edit. I actually tossed in the garbage can several times, but I still believed in it and just couldn't just let it rest. Finally, after hundreds of agent rejections, I found Limitless Publishing who was willing to publish BRIDGETOWN HIGH. I can't say they will publish your novel, but it's worth a try. I'm willing to review your book, if you want, and decide whether or not to recommend your book to them. I hope that encourages you, not discourages you. For me, writing is in my blood. I just can't quit. I hope my next novel, a sequel to BRIDGETOWN HIGH, will be as well written. So, until next week, as always, if you like this blog/message, please remember to "Share" and "Like"it on Facebook , and "Tweet" or "Retweet" it on Twitter. Then PLEASE, take five minutes to write a review and post it on Amazon. I need all the reviews I can get to make this book a success. Also have you signed up for my email letters on my Blog Site? I would love to see you there and have you introduce yourself and give comments, good or bad, to this blog. And also keep in mind "BRIDGETOWN HIGH" is still available at Amazon, Goodreads and Barnes&Noble and several other places I can't remember. You can read some GREAT reviews of BRIDGETOWN HIGH on Amazon and Goodreads in case you need more info about my novel. Almost everyone who has read it, loved it.